Now that the spring semester is in full swing, it’s been a moment since we’ve all talked to each other last! The holidays, winter break, and the start of semester two came and went, so I can only imagine how fast the time will fly this time. Acquainting myself back to Florence, moving into a new apartment, and meeting all the spring students has been such a whirlwind and a blast. In a short period of time, the FBM students will be headed to Lake Como and Milan for our first academic trip of the semester! After all this time, it’s no surprise how much the city of Florence has captured my heart. For those who have just been accepted, are thinking about applying, or are in the process of beginning their journey to study abroad…this one is for you! I present to you my Five Firenze Faves. 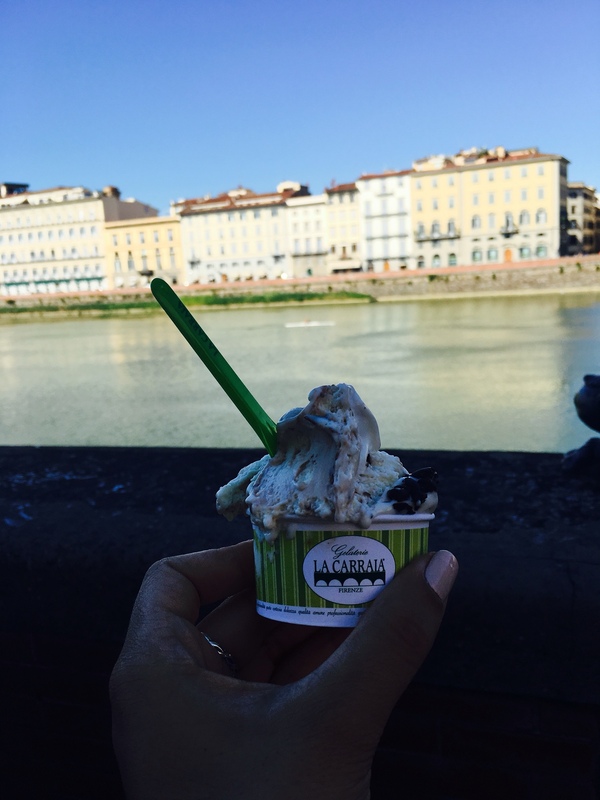 So most of these may (or may not) be about food…but the gelato here is UNREAL! 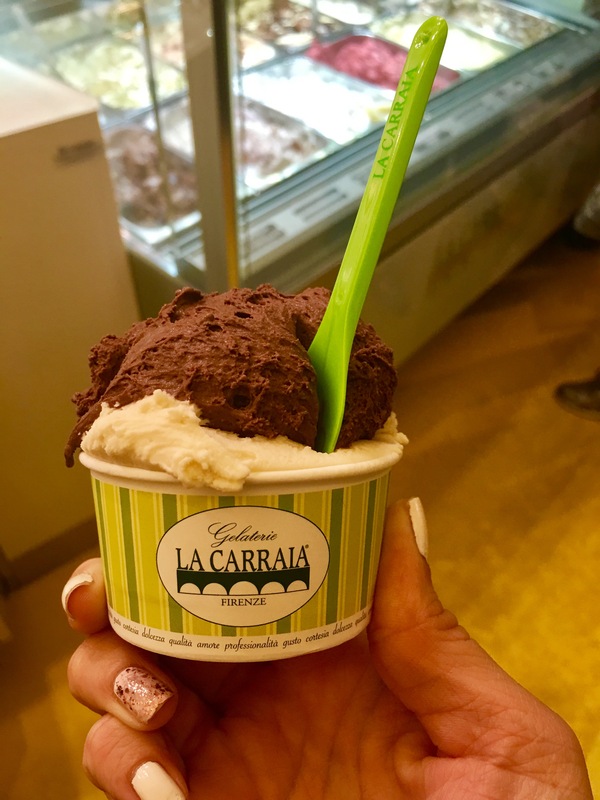 After trying many, many gelato places my all time favorite is La Carraia. 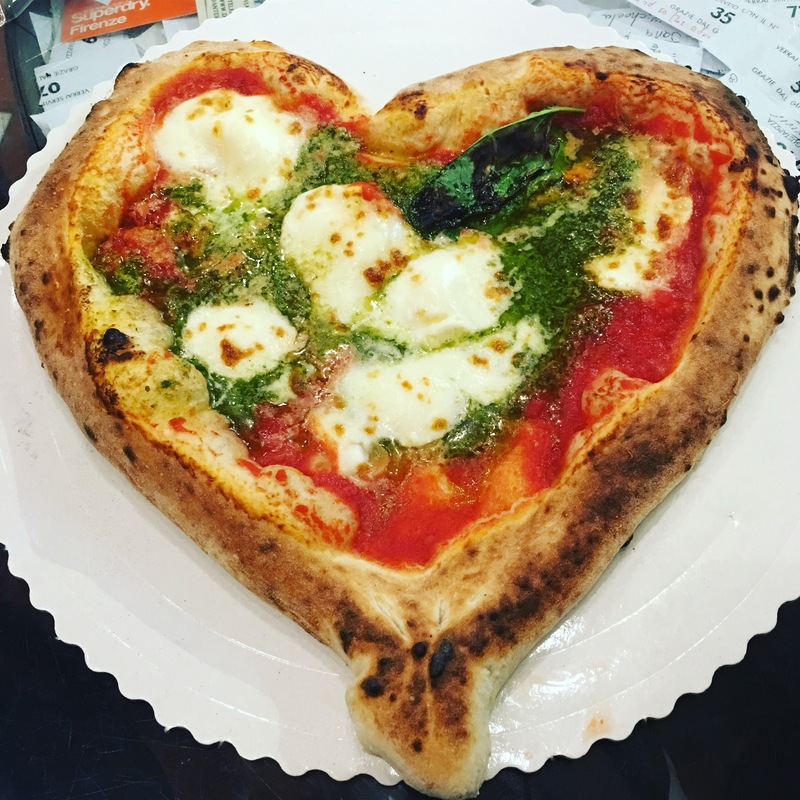 They have two locations here in the beautiful Renaissance city, one right off of Ponte La Carraia (Piazza Nazario Sauro, 25/r) and the other in Santa Croce (Via de’ Benci, 24/r). My favorite flavors are many; arachidi salate (salted peanuts), biscotti (cookies), and cioccolato latte (milk chocolate). The city of Firenze is the home to so much Renaissance history and masterpieces. From Michelangelo, Leonardo da Vinci, and Donatello just to name a few…the museums filled with their are incredible. 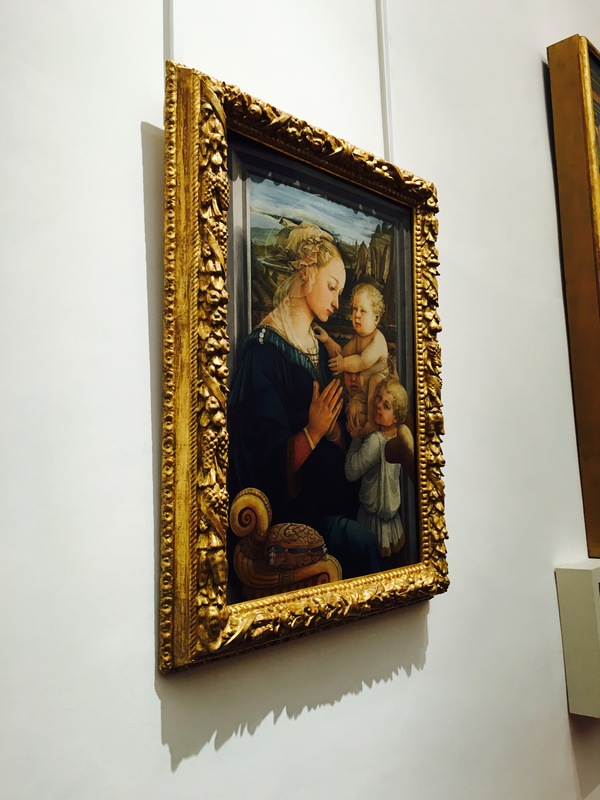 My all-time favorite has to be the Uffizi Gallery located in Piazzale degli Uffizi, 6. 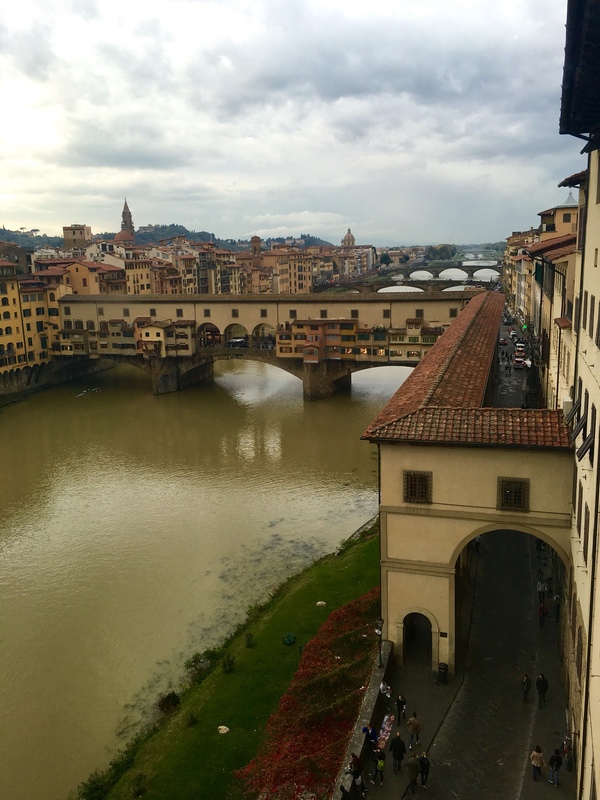 Spend a few hours walking through the different galleries and get some amazing views of Piazza della Signoria and the Ponte Vecchio. Getting a beautiful overlook or view from the top of a city is always crucial for me. I love being able to see everything at once and take in the settings around me. 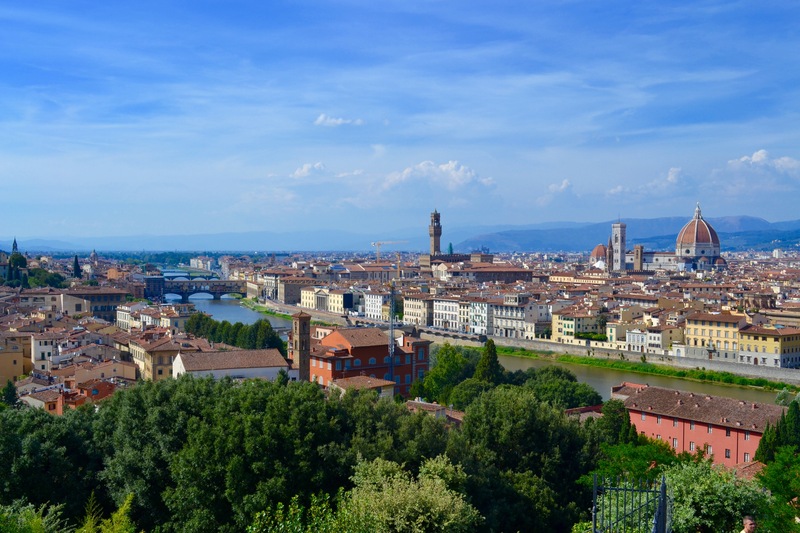 My absolutely favorite view of the city is from Piazzale Michelangelo. There are always even better views once you hike up a little further to San Miniato al Monte, but overall going up here at least once is completely necessary! Last, but not least…more food! 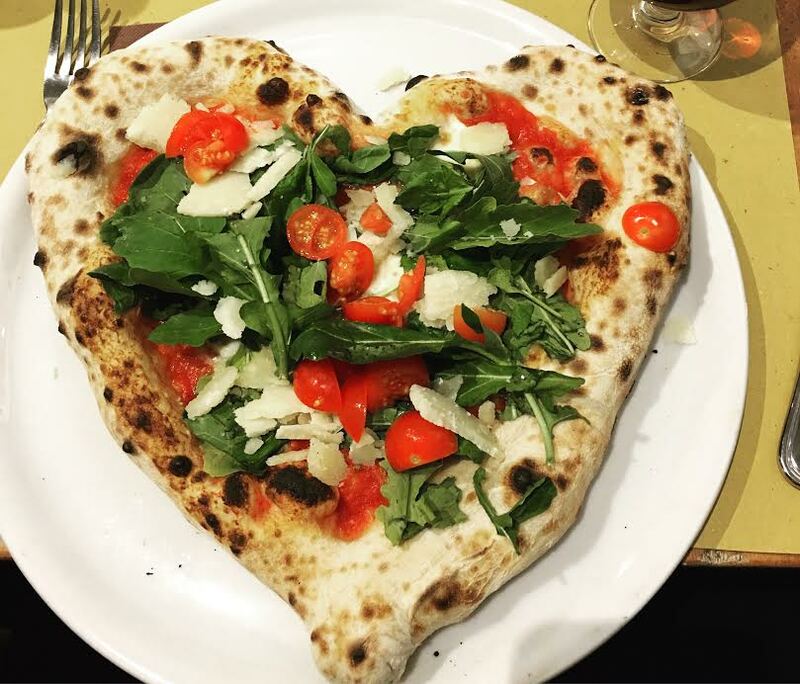 While there are so many delicious restaurants here in Firenze, the one I love the most for the food, the prices, and the charm is Osteria Santo Spirito located in Piazza Santo Spirito, 16/r. 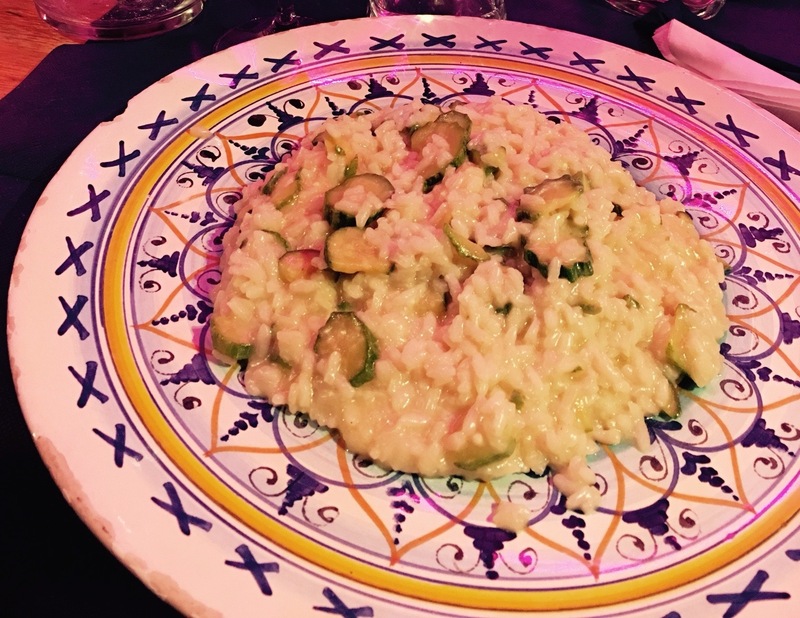 There are so many delicious dishes I can recommend…their zucchini risotto, cheese gnocchi, or traditional pappa al pomodoro (tomato bread soup) and ribollita (Tuscan bread and vegetable soup). Overall, Firenze is an amazing, beautiful, and charming city that you must, I repeat MUST see in your lifetime. Once you set your eyes on this town, you will be enamored. Hopefully you’ll make your way over here soon, because you will certainly not regret it!